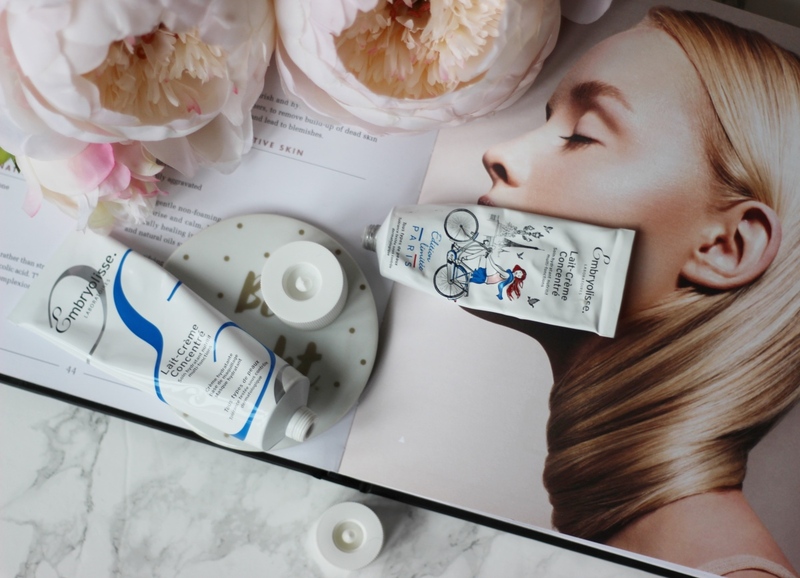 The Embryolisse Lait-Crème Concentré has been my favourite moisturiser for a while. It’s also been a cult favourite since the 1950s! I remember Sam Chapman from Pixiwoo recommending it on her YouTube channel. She said it was a great base for makeup and that it was a must-have for makeup artists. Obviously I had to have it! I was truly ‘influenced’ so to speak. Once I started researching I soon learnt that it was overpriced at all. Not one of those expensive products that would be on my wish list for years! I could get it from Boots for £20 for 75ml. 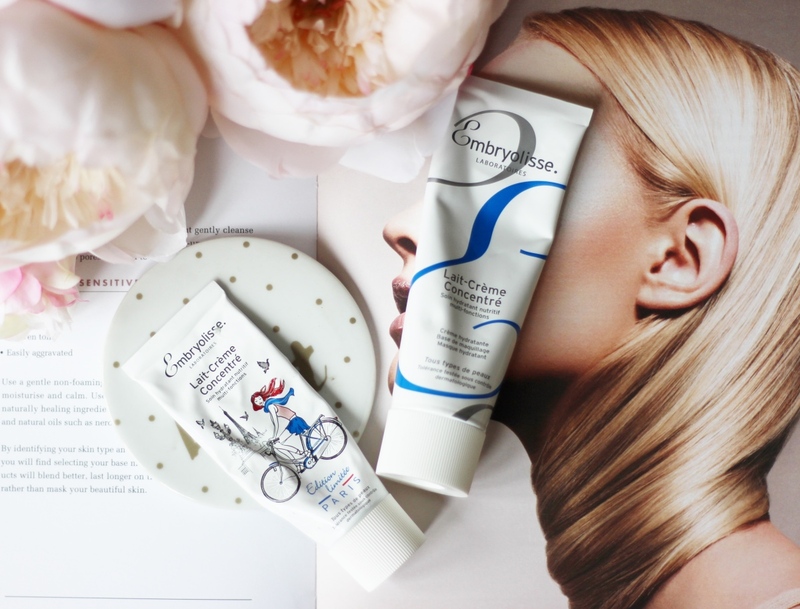 The packaging is not luxury but very french Pharmacy which was a huge trend when I first tried the Embryolisse Lait-Crème Concentré I love the easy to squeeze out tube rather than a pump or even a tub making it very easy to travel with. The product itself has no scent and it is pure white. It is creamy but lightweight and you can really slather it on without worrying about your skin feeling greasy. Charlotte Tilbury always says ‘wear more than you think you need’ when it comes to moisturiser. This is one product you can really do that with, I use quite a lot to really nourish and moisturise my face and neck. I let it sink in for a couple of minutes before applying makeup. My skin always feels so smooth and looks glowy and plumped. With the Embryolisse Lait-Crème Concentré you don’t necessarily need a primer as it is a primer but you know me and primer! As a beauty influencer, I use a lot of different skincare products and I do try other moisturisers. I always come back to this one though as it’s my trusted moisturiser. My skin seems to miss it if I don’t use it for a long time! If I ever get any dry patches on my skin I apply a thick layer of the Embryolisse Lait-Crème Concentré and the dry patches are gone. I also love to apply a thick layer before bed (almost like a face mask) and in the morning my skin looks so plumped and healthy. 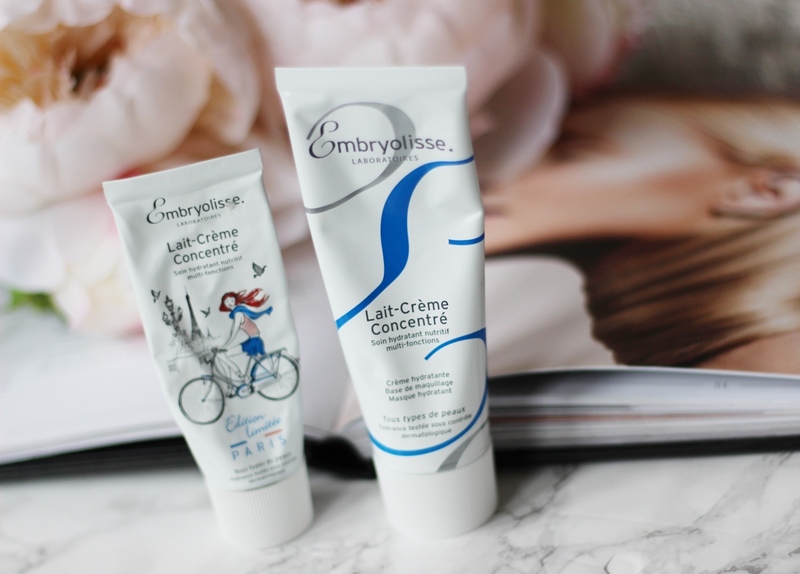 If anyone ever asks me to recommend a good moisturiser my answer is always Embryolisse Lait-Crème Concentré. It really is the best kept beauty secret that I am so glad I discovered.